When you hear about “marketing automation,” what comes to mind? You might think of an email marketing management system that handles all your digital correspondence. Maybe you imagine a sophisticated database that puts your analytics into context for you. If you’ve read up on marketing automation technology, you might see it as a way to manage omni-channel marketing campaigns, personalize communications, or launch an account-based marketing strategy. 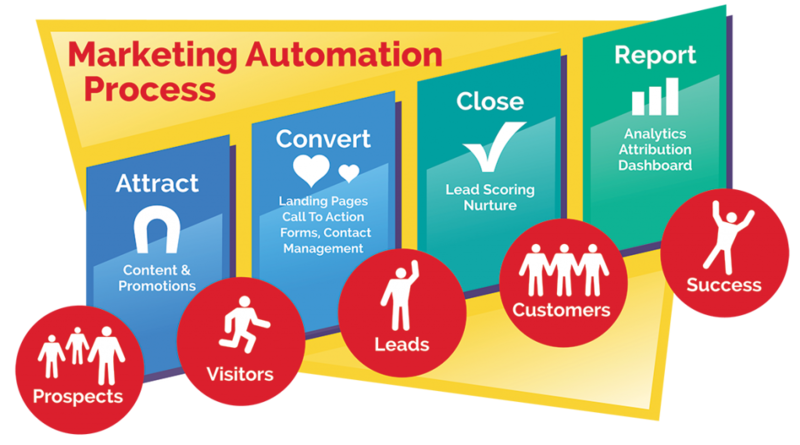 Marketing automation does all this and more. It’s an all-encompassing term for software platforms and support systems designed to transform the art of marketing into the measurable, repeatable science of success. Automation turns data into knowledge and knowledge into insight, enabling you to generate more leads, measure your marketing impact, and build on every successful campaign. 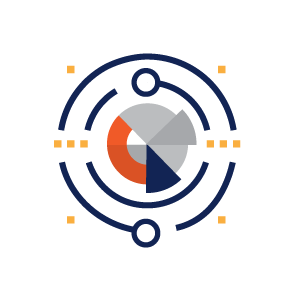 With marketing automation, you eliminate guesswork and gain deep knowledge of your audience so you can create the kind of customized user experience that wins long-term loyalty. More specifically, marketing automation includes the technology that handles routine marketing processes such as lead scoring, multi-channel campaign coordination, and database management. Turning these processes over to an automated system makes them vastly more efficient and precise while freeing your creative to focus on new concepts. 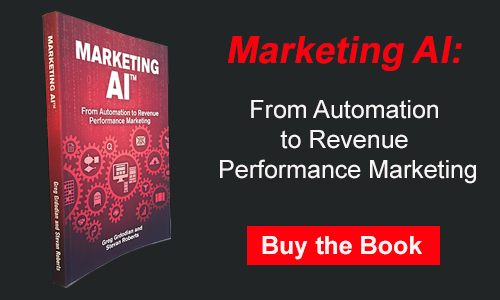 We also use the term MARKETING AI as it accurately reflects the power of marketing automation to learn about customers and transform how businesses interact with them. 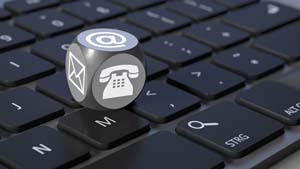 Impersonal – Although you might think of automated systems as mechanical or cold, marketing automation is anything but. By giving you deeper prospect knowledge and fuller customer care throughout the lead life cycle, automation actually enhances your ability to personalize customer relationships. Complicated – The technology behind automation is complex, but marketing automation platforms and the analytics they produce are designed for ease of use. User-friendly systems tame data and put it to work for you without any heavy lifting on your part. Unfocused – Just because it can handle big data doesn’t mean marketing automation lacks focus. Audience segmentation, data hygiene, customization, and dynamic targeted content let you pinpoint your market with laser-like focus. Every business is unique and has its own marketing needs. Automation is also highly adaptable, allowing you to define the system you want with customized dashboards, email templates, and more. Because your marketing automation platform is specific to you, let’s take a closer look at some of the technology’s most popular features. 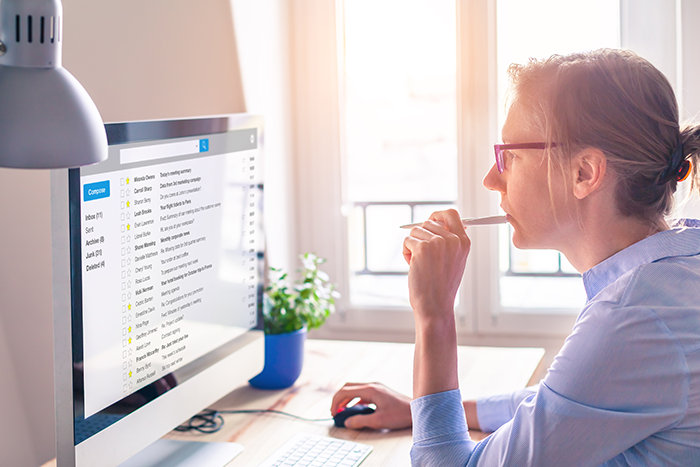 Forget the shallow, ineffective email marketing methods of the past: Marketing automation has transformed how businesses interact with their prospects in every way. Data hygiene and list management becomes vastly easier when you automate, ensuring that your emails target the carefully selected leads they’re meant to reach. Creating email is simpler too, thanks to template builders and customizable pre-formatted options. Once you’ve created your email, run split A/B testing in real time to discover how your audience responds and choose the winning option. Clear, simple analytics let you track your success. Build a stronger brand identity with customized forms and banner ads that address your leads’ specific needs and interests. Customization has a proven record of enhancing responsiveness, and it’s no surprise – we all pay closer attention when we feel someone’s speaking directly to us. Marketing automation technology can even customize your site’s home page to greet return visitors with relevant information or offers, creating a custom user experience that adapts to your leads. The most comprehensive analysis in the industry. How do you know where leads are in their buying journey? Using historical sales data, demographic details, and behavioral cues, your marketing automation system will find them and rank them for sales readiness so you know where to invest your marketing energy. Avoid wasting time on non-leads and free your time to focus on prospects who are waiting for guidance with dynamic lead scoring. Over time, your MARKETING AI also learns more about your audience’s buying signals to refine lead scoring algorithms. Watching leads interact with your website, email, and ads in real time would be impossible for a human observer, but marketing automation software can handle it with ease. Watching the trajectory your leads take through your site and its content tells you more about them and helps you understand each prospect’s needs and interests. With marketing automation and anonymous browser cookies, you get to know visitors to your site even before you get their names, compiling a record of interactions that can later be linked to a visitor’s contact information. A lead who isn’t quite sales-ready can become a valued customer with the right lead nurturing. Your marketing automation system identifies leads’ interest based on demographic, firmographic, behavioral, and contextual cues. Then, it delivers ads and content directly to prospects when they’re ready for it. As leads move deeper into the sales funnel, they get more in-depth content geared to help them make key decisions. Once leads approach sales readiness, the sales team gets an alert and prepares for the hand-off from the marketing team to provide seamless customer care at every stage of the journey. When you want a look at what your leads are doing right now, you can’t rely on yesterday’s news. Marketing automation gives you a real-time look at how your latest campaign is performing across every channel and shows you where your leads are coming from as they funnel in. The data your MAP collects serves a dual purpose, becoming valuable historical knowledge that informs future marketing activities. With so many moving parts, marketing automation technology can seem fairly complex. Let’s take a look at some of the components that make up a marketing automation system. Keep in mind that all of these pieces are part of a larger whole; they’re different aspects of the same MARKETING AI, and they work together like fingers on a hand. At the core of your MAP is its database, the nerve center where everything connects. 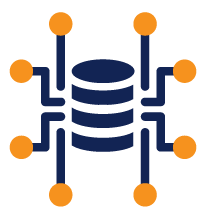 Think of your centralized database as the system’s brain, the place where its memories are stored and executive functions take place. This feature is what sets marketing automation apart from smaller platforms that work in isolation. The wealth of customer and prospect data you collect also makes it possible to customize and personalize how users interact with you. The predictive power of marketing automation comes from a complete understanding of the entire lead life cycle. Lead scoring, customer personas, and nurture programs are all part of this facet of your MAP. Customer care doesn’t end with the first sale, so cross-selling and up-selling opportunities are also part of what marketing automation can do for you. Manage your mailing lists, opt-ins, autoresponders, newsletters, and contact information from a central location. Once you’ve built email templates, your MARKETING AI will customize and personalize your communications automatically. Select your target segments with a few keystrokes, send select emails for A/B split testing, and track deployment in real time. Here’s where you assemble email templates, ads, site graphics, and more. With easy-to-use WYSIWYG interfaces that show you how the finished product will look at every stage of development, you’re able to put together cohesive campaigns that reinforce your brand identity across multiple channels. Responsive design allows you to develop graphics and content that display properly on any device, future-proofing your marketing materials. Your customer service, sales, and marketing teams work best when they work together, but that’s virtually impossible to do when they’re all on different platforms. Marketing automation brings them under one roof by synching with your CRM and making data available to everyone. With your marketing automation consultant, you’re able to customize dashboards for each team and create custom fields to make communication simpler. Can you identify what sets your best buyers apart from the rest? Can you find more like them by tracking and engaging new leads online? Can you scan a list of leads and pick out your most promising prospects? Can you sort leads based on their sales readiness? Can you measure the contribution your marketing activities make to sales in dollars? Can you manage all these feats with a small staff or even a single CMO? Every business wants to do three things: save time, earn revenue, and avoid risk. Marketing automation helps you accomplish all three goals while delighting your customers and earning their loyalty. Automation excels at freeing time that would otherwise be spent on maintenance tasks. 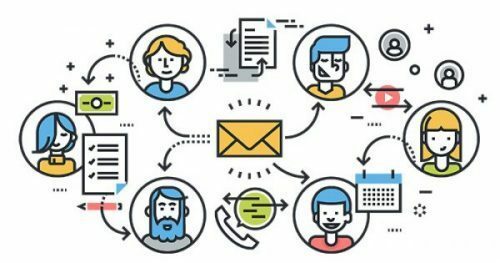 By setting up messaging and email triggers as part of a cohesive omni-channel campaign, you allow your marketing team to work on other projects. By studying predictive analytics, you can also guide their next moves. Streamlining routine tasks makes your organization more efficient, reducing overall costs. 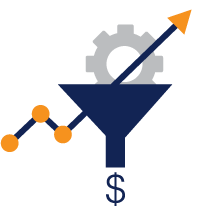 As a revenue engine, marketing automation is unmatched. It’s an essential component of account-based marketing, a proven revenue booster, and its lead scoring capabilities show you exactly where to focus your efforts. Data collection gives you deeper insight into your customers so you can pinpoint your best buyers and find more leads like them. Nurture programs designed to give leads the knowledge they need to make pivotal buying decisions make sure you don’t lose potential customers to inaction. Top-quality data helps you stay on the good side of email service providers, reducing your risk of undeliverable mail or worse. Marketing automation’s predictive power also eliminates wasted effort on non-leads or campaigns that under-perform. 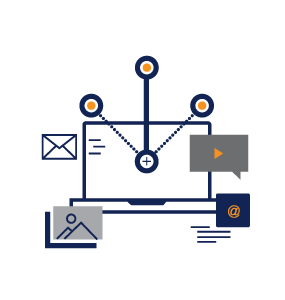 Scalable – No matter how big your business is, marketing automation prepares you for what’s next. Whether your company is a hot start-up that needs room for exponential growth, a mature firm that wants to maximize the potential of its existing customer base, or a large corporation that’s gearing up to go international, automation fits your organization. Measurable – Automation tells you what works and how well it’s working in clear terms. Understanding your cost per lead and the real value of all your marketing actions shows you where to focus your efforts. Flexible – Marketing automation is not a one-size-fits-all solution. It adapts to your style, giving you more hands-on control where you want it and taking care of routine tasks when needed. With this sophisticated technology, you’re effectively future-proofing your organization with a powerful tool-set that lets you design for next-generation devices before they’re even on the market. Businesses face more competition than ever before, and the only way to gain an edge on it is to offer more to prospects than your rivals. Delight your customers by giving them a personalized user experience, guiding them through the buying journey with well-timed and relevant content, and testing campaigns in real time to find the most compelling message to reach them. 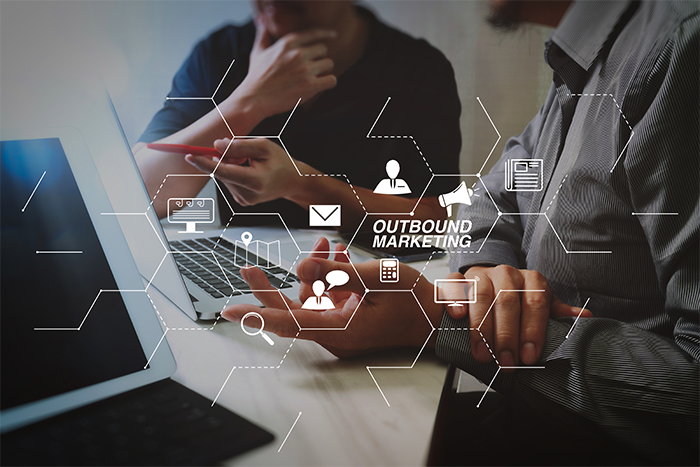 It’s the surest path to earning their business and keeping it for the long term – and marketing automation technology is with you every step of the way. Centralized Marketing Platform– Manage all marketing activities and email delivery within one tool. Competition for your audience’s attention is at an all-time high. To engage them, you need sophisticated software that gives you incredible power to generate and nurture leads, gain complete control over campaigns, identify your web visitors, coordinate multi-touch marketing across channels and align your content marketing with your audience. Experienced marketing professionals are the difference between simply installing marketing automation software and implementing a new revenue-based marketing engine. We integrate the power of automation with our suite of complementary products and services including big data, database marketing, email marketing, real time web personalization, SEO, social media, CRM, inbound and outbound marketing techniques to give you the most comprehensive marketing solutions available anywhere. As the leading data and technology driven integrated marketing firm, we’ve pioneered the use of marketing automation as we harness its tremendous potential for our clientele. 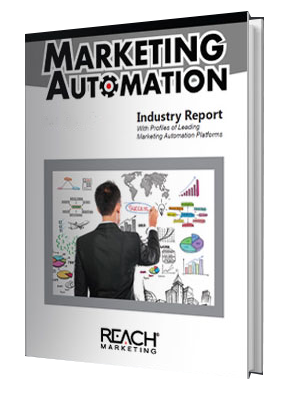 From software installation and integration to implementation, strategy and campaign execution, the certified marketing automation experts at Reach Marketing will ensure your success.